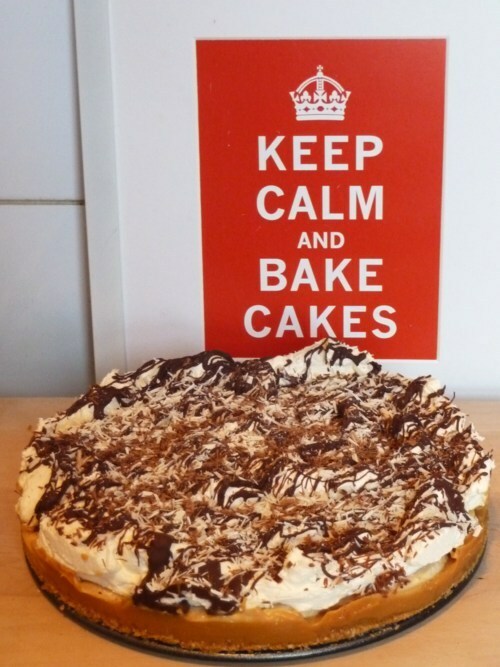 Banoffee Pie is my friend Denise’s favourite dessert and seeing as it was her birthday this weekend, I thought I’d make one and bring it into the office on Friday so we could start the celebrations early. 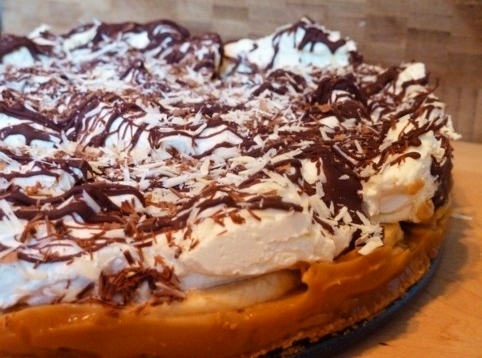 This is a great dessert to make as it is so easy, and reasonably quick. It’s essentially just a case of assembling the ingredients. For decoration, have some chocolate to hand for grating or melting over the top. 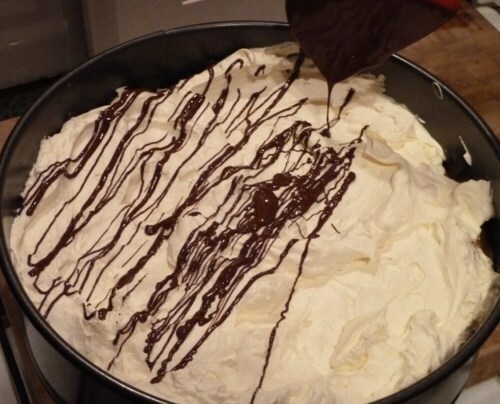 You will need a 23cm/9inch spring form cake tin. 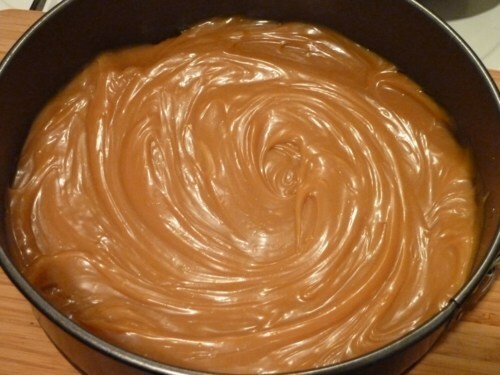 That was the traditional way of making the caramel but luckily, the lovely people at Nestlé have brought out a tin of ready-made caramel…. 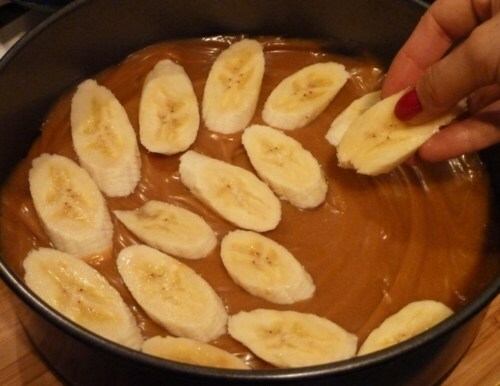 If you use this, it really is a very quick dessert to make. 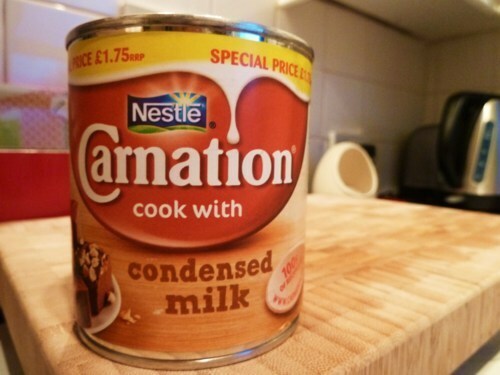 If you’re making the caramel from condensed milk, get this started early. You can even make it days, if not weeks in advance. 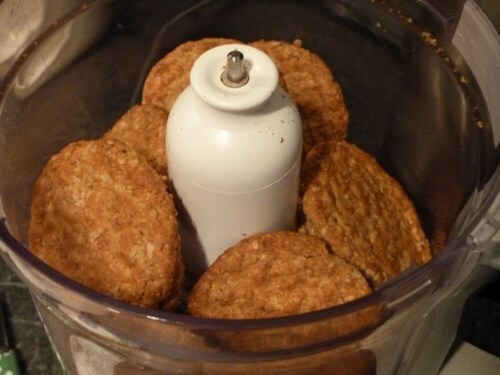 It will keep in an airtight container. 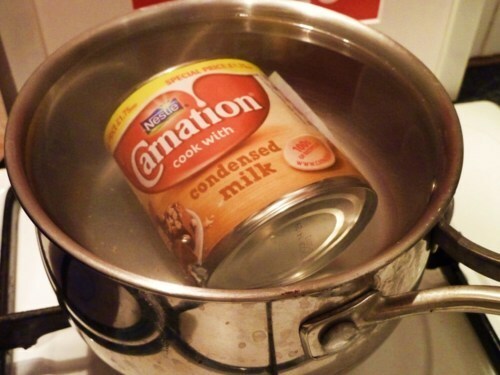 Start by placing a can in a pan of hot water. The tin must be completely covered with the water at all times so make sure you keep an eye on it and top up the water if necessary. Keep the water simmering the whole time. 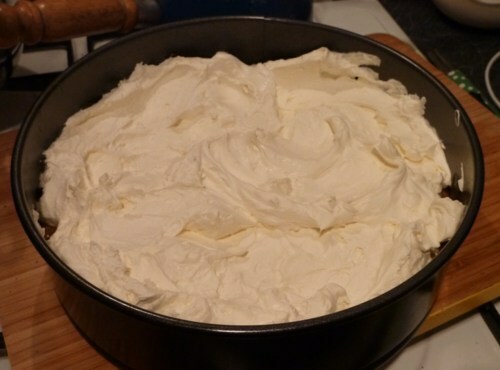 Carefully remove the tin from the hot water and leave on the side to cool. 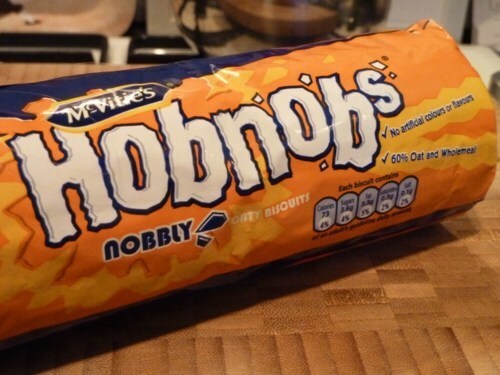 For this recipe, I have decided to use Hob Nobs for a change. 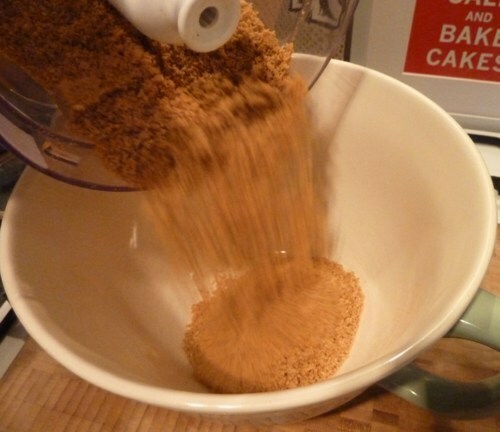 Crush the biscuits in a food processor until they resemble fine crumbs. 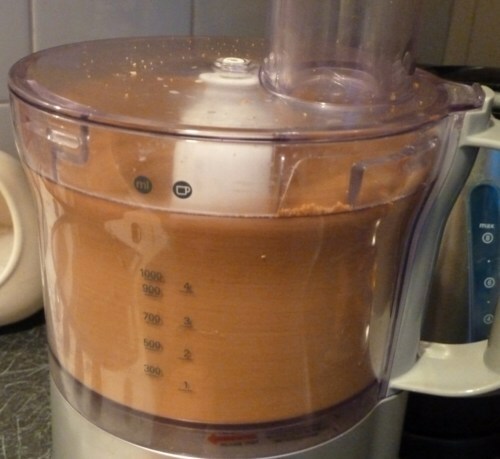 If you don’t have a food processor you can just put them in a bag and bash them with something heavy. 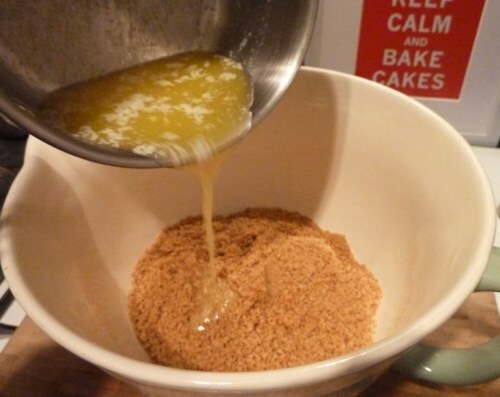 Tip the breadcrumbs into a bowl, add the melted butter and stir to combine. 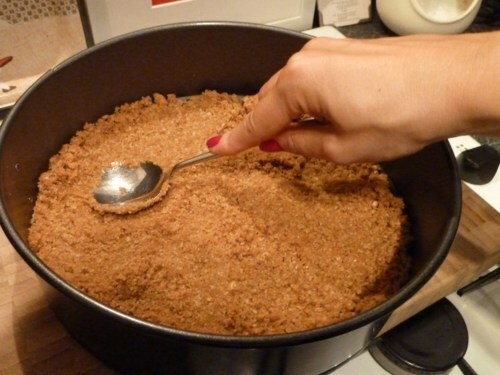 Using a spoon, press the mixture into the base of your tin then place in the fridge to chill for 30 minutes. 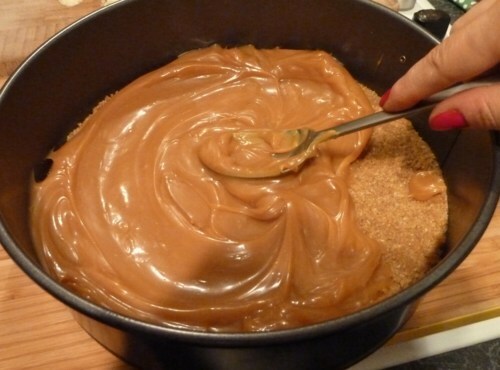 When cool, spread the cooled caramel, or the ready-made caramel over the biscuit base. 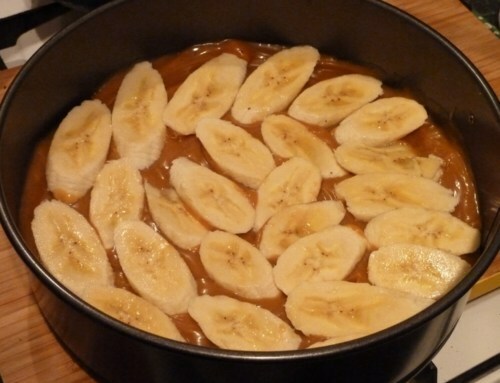 Then arrange the sliced bananas on top of the caramel. 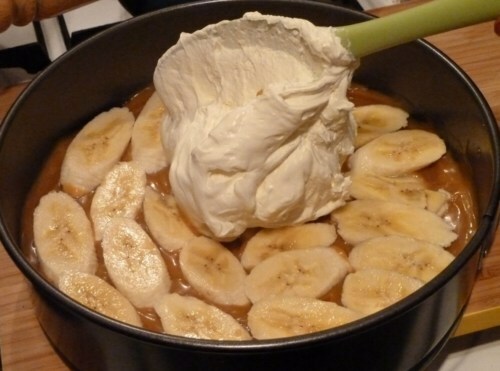 Whip the cream and then spread or spoon over the bananas. 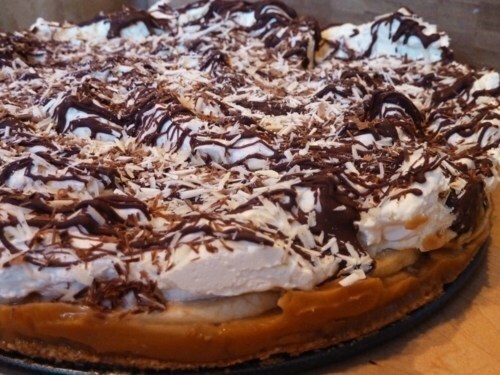 I personally prefer to spoon it in dollops over the top so it doesn’t look too neat. 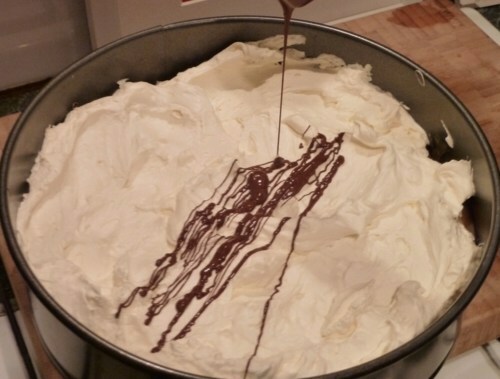 Top by drizzling cooled melted chocolate over the top of the cream. I melted 50g of Green & Blacks 34% milk chocolate over the top since Denise prefers milk chocolate. 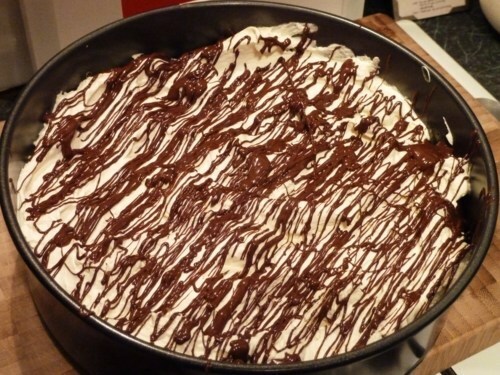 If I was making it for myself, I would have topped it with 70% chocolate. You can of course decorate it whichever way you like. 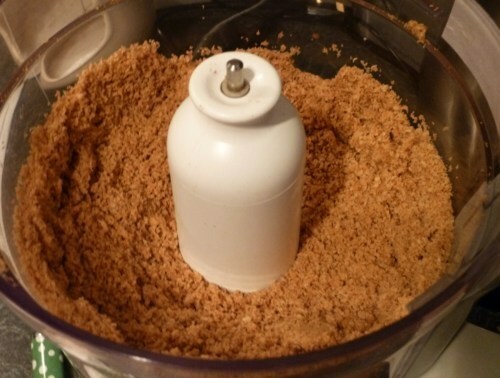 You can grate chocolate over the top, or top with chocolate curls or dust with cocoa powder. Anything you like! 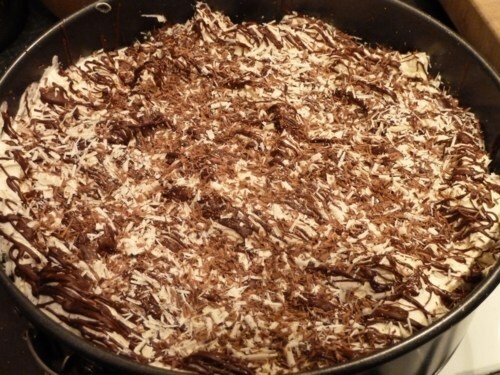 In this case, not only did I melt chocolate over the top, I also decided to grate some more chocolate over the top. 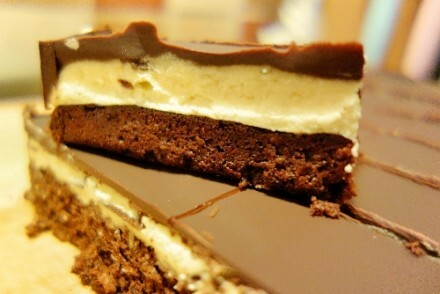 I decided to grate a little dark chocolate, some white chocolate and some milk chocolate. Place in the fridge to chill for approx an hour. Take it out of the fridge 30 minutes before you want to serve. 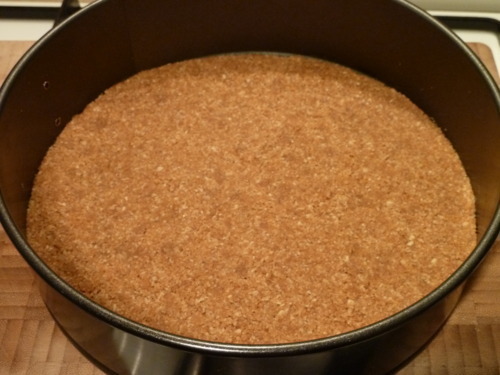 The beauty of a spring form tin is that you can loosen it and lift it off without it damaging the pie. And voila! 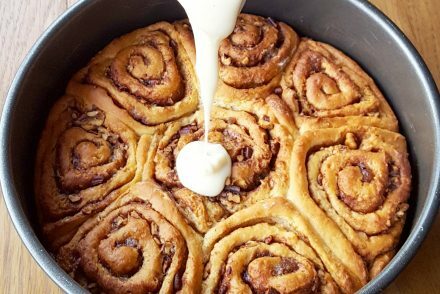 You have a quick and easy dessert that tastes sweet and delicious! 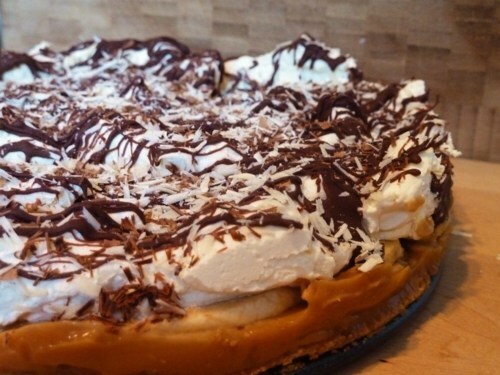 If you haven’t made one of these before and you have a sweet tooth, please give it a go. 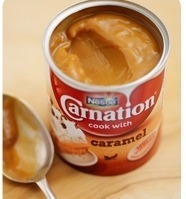 If you buy the caramel ready made, it really is the quickest, easiest and tastiest dessert to make. And I promise your friends will love you for it! 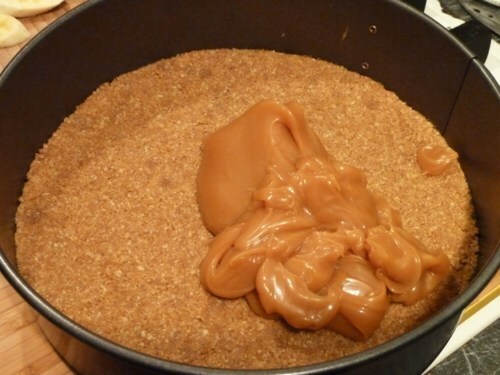 I did not know you could make the caramel by boiling condensed milk, thank you for that, I made banoffee pie once before but unfortunately my ‘offee’ part was a disaster! Yes, its probably the easiest way of making it. But it does take some time! 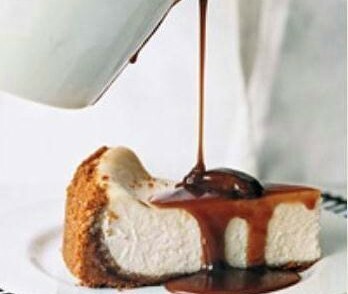 Luckily, you can buy pre-made caramel from so many places now, it makes it so much quicker and easier to make desserts like this.